Across the nation, Americans are uniting in community to thank and honor Vietnam veterans and their families for their service and sacrifice. Why, you ask? This initiative is the main focus of the United States of America Vietnam War Commemoration, a national 50th anniversary commemoration authorized by Congress, established under the secretary of defense, and launched by the president in May 2012. Yes, America is 50 years, and in some cases 60 years, late in this effort, as this commemoration includes all 9 million U.S. veterans who served from Nov. 1, 1955, to May 15, 1975, and their families. While we acknowledge the distinction between veterans who served in-country, in-theater, and who were stationed elsewhere during this period, we honor all who served. All are known to us simply as "Vietnam veterans." Across our country, more than 10,000 local, state and national organizations, businesses and governmental agencies have joined the Defense Department as commemorative partners, and are conducting events and activities in small towns and large cities that publicly share the nation's gratitude with these warriors and their families. Without thought of rehashing the war or rewriting history, this commemoration is firmly set on honoring those who bore the pain and price of the war. When asked, these veterans answered the nation's call. Some fought the war in a distant land of which most had never heard, while others were assigned to support the effort from different locations around the world. Vietnam veterans bravely pursued the goals and objectives established by our elected leaders, yet returned to a society in turmoil. Few wanted to hear their stories, share their hardships, or understand their problems. Most Americans did not separate the warrior from the war, and wanted the veterans — a reminder of the war — to simply disappear. Flag-draped caskets enshrouded more than 58,000, while many who lived came home with scars born of battle and, in too many cases, invisible wounds coupled with haunting memories. Upon reaching U.S. shores, these veterans (with the exception of the former prisoners of war) received no formal public welcome or recognition of service afforded veterans of previous wars. Instead, the vast majority quietly assimilated back into their communities, raised families and used their talents and leadership skills to strengthen America. Many innovations in the business, education and military sectors can be attributed directly to the Vietnam generation of veterans. Now is the time to not only remember those who gave their all during the Vietnam War, but it's also time for all Americans to fully embrace the brave men and women who returned home from Vietnam, often to shame and disgrace, by publicly thanking them with honor and dignity, as well as recognizing the sacrifices of their respective families. Unfortunately, this effort comes too late for 2 million who wore the uniform during this turbulent period in our country's history, including the 58,000-plus whose names are inscribed on the Vietnam Veterans Memorial in Washington, D.C.; these Vietnam veterans already have passed and will not experience their nation's appreciation during this commemoration. In addition, the Veterans Affairs Department estimates we are losing as many as 382 veterans a day who served during this period, so we must act now. 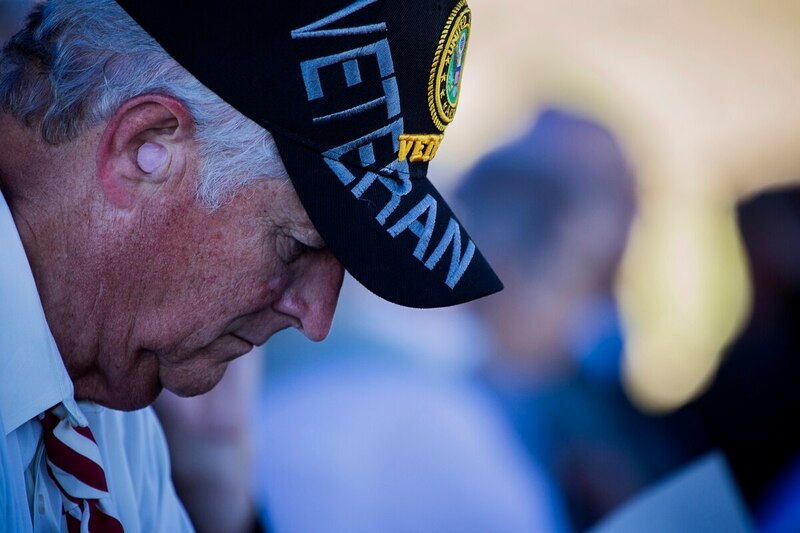 We have the opportunity to make a positive difference in the life of every one of the 7 million living Vietnam veterans, and each of their families. Reaching out to them with a sincere "thank you for your service and sacrifice" is a strong start. To quote retired Army Col. Albert Nahas, a Vietnam veteran, "We had no expectations but to serve where duty called us. We asked for no reward except a nation's thanks." Join the nation ... thank a Vietnam veteran! Find out more at vietnamwar50th.com. Jackson is a retired Army major general and director of the United States of America Vietnam War Commemoration.